It is a steep face with lots of big trees up top. Down towards the bottom, there are some drainages and a lot of thicket that you will have to battle through. Just remember that just because there are tracks, they are not necessarily going the right way. 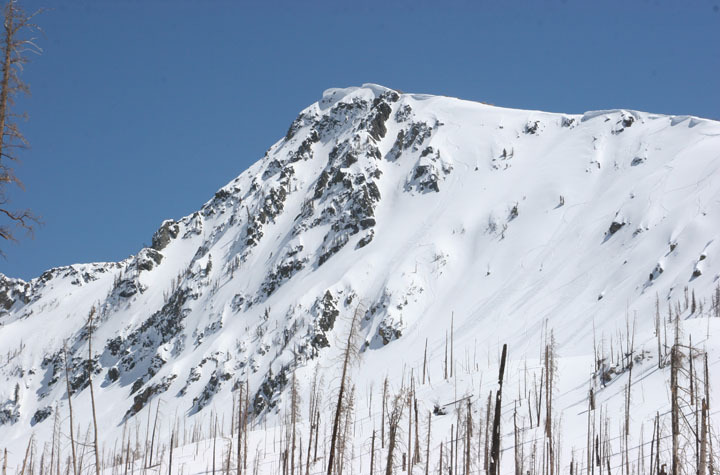 Due to the illegal cutting of trees, there is a large scar that looks like it would be perfect to ski, but is off-limits to skiers. Steamboat area has a mix of terrain, with a lot of snowmobile access. 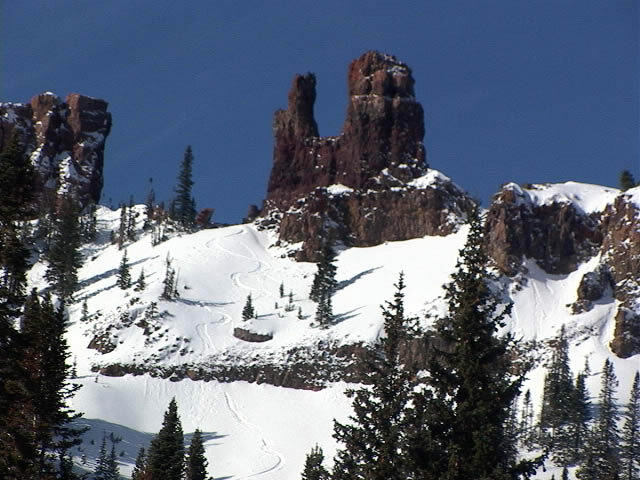 Rabbit Ear's pass is more commonly known for snowmobiliers, but there is some great skiing out there. Motorized vehicles for during winter are only allowed on the eastern side of the pass, and non-motorized traffic is on the west. There are a number of other peaks, recreation areas, and cross country ski locations to go visit in this area. The best way to get to the steamboat area is to drive down highway 40 west through winter park, granby, and frasier. You can also get there by taking I-70 West until dillon, and going North on Route 9. Both are a good option, but 40 is a little bit more scenic.